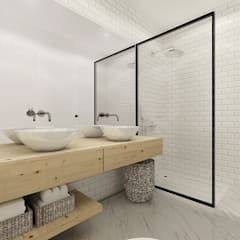 How to design a Scandinavian bathroom? Minimalism lies in the very heart of Scandinavian design. This is the main reason why Scandinavian décor suits the interior of the modern Canadian homes. 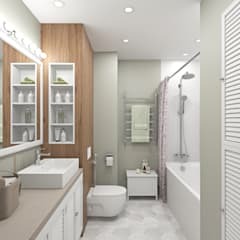 It helps the Canadians homeowners to design a breezy and relaxing interior even when the space happens to be a small one. 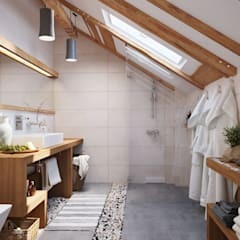 And, you need your bathroom to be a peaceful and relaxing one. The other important aspect of Scandinavian architecture and design is the pronounced use of eco-friendly and sustainable materials. Wood is a prominent feature in the Scandinavian style interiors. 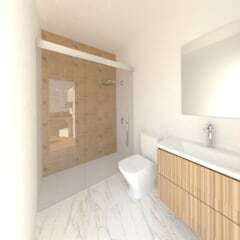 You may introduce the wooden element by decorating your bathroom with wooden furniture. Try to design a functional space and avoid the usage of overly ornate decorative features and furniture. Don’t clutter the interior with too many objects of décor even if you boast of a spacious bathroom. 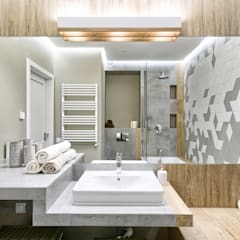 When you are not too sure about your choices, seek suggestions from an experienced interior designer to design the interior of a Scandinavian style bathroom. Install large frosted glass windows or skylights to ensure that the room gets maximum amount of sunlight in the daytime. It will help you maintain a hygienic interior environment. Invest in proper ventilation, so that the interior remains dry all day long. 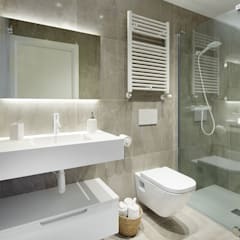 A moist bathroom interior encourages the growth of mould and mildew. To avoid the perils of a mould infested bathroom, install quality bathroom vents. 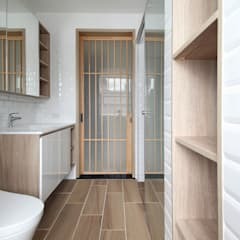 What flooring materials are suitable for a Scandinavian bathroom? Since this space is consistently exposed to moisture, it is better to choose a flooring material which is water resistant. Ceramic and porcelain tiles have become the most favoured flooring materials for this space. Porcelain tiles are tougher than ceramic. In terms of colours and designs, both of these flooring materials have almost endless varieties. Moreover, they are very cost effective options. 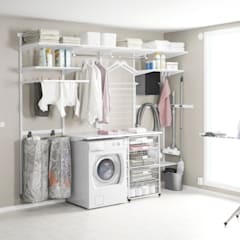 You may also clad the walls with ceramic wall tiles and protect them from moisture related problems. Choose tiles specifically designed for bathroom floor. These are textured and skid resistant. So they are safe for everyday use. Stone is the next best choice. You may design very stylish flooring using marble, granite, sandstone or quartz. They are durable, easy to maintain and water repellent. However, they are not exactly a cost effective flooring solution. Vinyl flooring is getting popular by the day. Its affordability and ease of installation encourage many homeowners to go for this type of flooring. Choose vinyl sheets for your bathroom. Unlike vinyl tiles, they don’t have any gap through which the water may sip in. You may buy vinyl sheets that resemble the appearance of wood. You may also go for engineered wood flooring. It does not get easily get affected by moisture. Waterproof laminate flooring is another alternative to traditional hardwood. Both of them would help you to perfectly recreate the essence of Scandinavian design which prefers using wood in the interiors. Solid hardwood flooring is a not a popular choice for this space. Protecting wood from the moisture related problems seems to be a challenging task for many. You may hire an experienced wood flooring installer and stylise the interior with hardwood flooring. An expert installer will leave no gaps between the wooden planks for the water to sip in and damage the under floor structure. 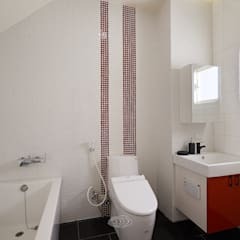 How to choose the right colour scheme for my bathroom? In order to design a calm and relaxing space, opt for neutral colours. 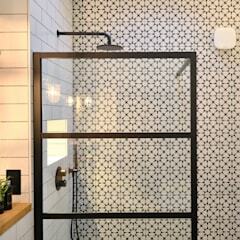 Solid shades are preferred more than floral motifs in a Scandinavia inspired bathroom interior. White, light grey and shades of blue dominate the colour palettes of the Scandinavian homes. You may choose a bright tone to accentuate the interior, but try to limit its usage to a small area of the bathroom. However, you are free to experiment with textures. You may vary the textures of the floor tiles, wall claddings, bath fittings, mirrors and furniture. Effectively varying the texture will have a dramatic effect on the interior. Install potted plants and orchids in the corners, on the shelves or close to the windows of the bathroom. The presence of greenery has a soothing effect on the mind. Besides flowering plants like peace lily, Anthurium and Aphelandra squarrosa or orchids like Vanda, Cattleya and Phalaenopsis will add a dash of colour in the interior. 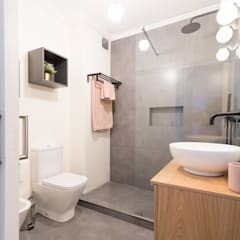 What furniture should I buy for my Scandinavian bathroom? Try not to over accessorise the interior of a Scandinavian bathroom. Place only the most essential pieces of furniture here. One of them is certainly a chic bathroom vanity unit which would help you maintain an organised bathroom interior. Choose a vanity unit with a clean and simple look. 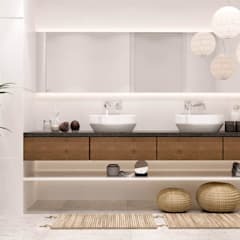 You may free up some floor space by opting for a floating vanity unit. A standard double drawer vanity unit made of quality hardwood would cost you a minimum of $1500 CAD. Such a vanity unit would be about 40 inches wide, 17 inches deep and 27 inches height. 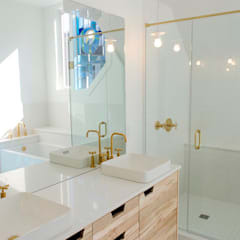 You may choose vanity units with a metallic accent. 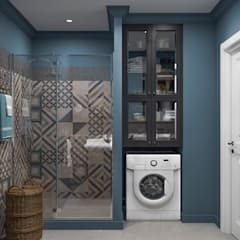 Bathroom cabinets will help you increase the storage area. One door cabinets made of engineered wood and having a mirrored finish can be bought in less than $150 CAD. 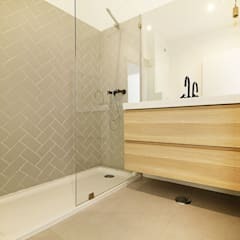 For the comfort of usage, place a stylish bench or stool in the shower area. You may also buy storage stool for your spa style Scandinavian bathroom. 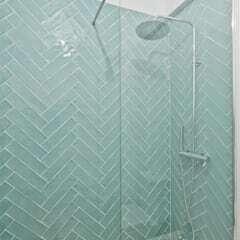 But instead of placing in the shower room, position it in an empty corner of the bathroom. Saunas are an integral part of the traditional Scandinavian dwellings. If you boast of a spacious bathroom, then utilise this additional space by setting up a home sauna. You may buy two person or four person saunas. 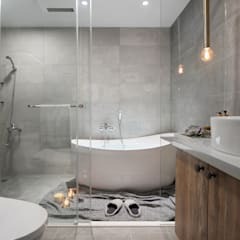 In the long winter months of Canada, you will have the opportunity of enjoying a relaxing steam bath right in your Scandinavian bathroom. Two person infrared saunas cost about $1500 CAD. Four person infrared saunas, on the other hand, cost more than $2500 CAD. You may also consider buying one person or two person saunas. 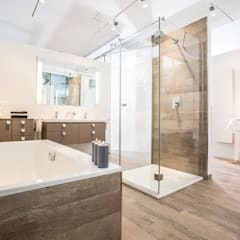 The overall cost of designing a Scandinavian bathroom largely depends on your choice of materials and size of the room. 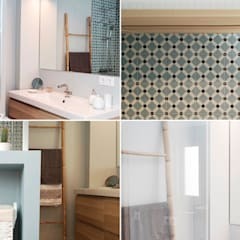 It is possible to design a comfortable Scandinavian bathroom by paying between $1200 CAD and $1800 CAD per square foot.